A team of Witsies have opened up an online store to cater to student needs. A team of seven Wits students have launched an online store which sells basic necessities to students nationwide. The Sikio store, which previously only sold secondhand textbooks, has been relaunched on Saturday, August 18, as a store stocking make-up and beauty basics, sanitary pads, phones, weaves, appliances and books. Co-founder and Wits CTA student, Boitumelo Nonyane said, “It has been quite overwhelming, we didn’t expect to get such a big reaction on the first few days after launching”. She added that the aim of the online store was to become the leading supplier for cash strapped students, and to become to the go-to online retailer for the student community. 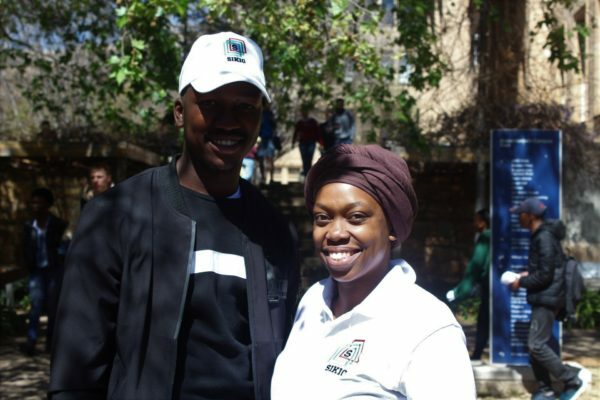 BSc quantity surveying student, and co-founder of Sikio, Sizwe Bhengu, said that their retail model is to sell new products at a cheaper price. “We are trying to cater for the needs of all students and want to expand into selling fashion as well. It is easy for us to see what students need because we are always in touch with the needs of people on the ground, being students ourselves,” Bhengu added. Twenty-two-year-old Nonyane said that it was difficult managing her studies and the business. She added that everyone has the same 24 hours in a day and it is all about time management. “You make it work, there is no formula to owning a business or to be a student,” she said. Third-year BCom accounting student, Mncedisi Sindane said that he found the site easy to navigate and was shocked to receive his products within two hours of placing his order. “The owner came personally to deliver it to me and to check that everything was okay which was a nice personal touch,” Sindane added. Sikio Store currently delivers both locally and nationwide but are hoping to improve their delivery turnaround time in the future.